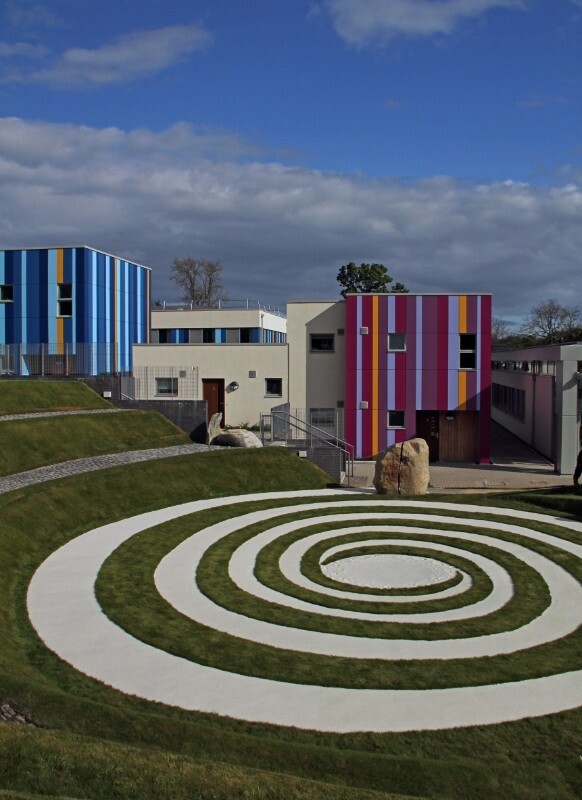 The Midpark Hospital Acute Mental Health Facility is an 85 bed new build Hospital procured through the Health Facilities Scotland Framework in the grounds of the Crichton Hospital Estate. 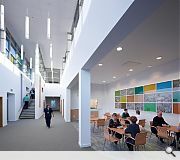 Replacing Victorian wards, this new thoroughly modern facility incorporates best practice design for Dementia and Mental Illness. 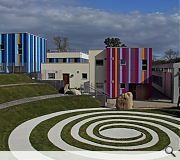 The facilities include IPCU, Adult and Elderly Acute Wards, Dementia Ward and Open and Secure Rehabilitation Wards including 6 single bedroom rehab flats. 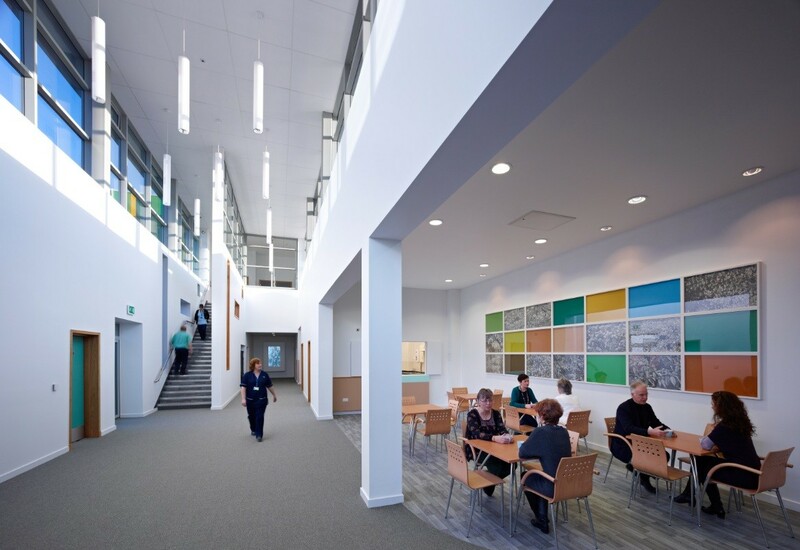 A truly collaborative approach was taken to developing both the brief and the language of this specialist facility to ensure conflicting pressures of Security, Clinical Functionality and Therapeutic Ambience developed in harmony with the location and ethos of all Stakeholders. 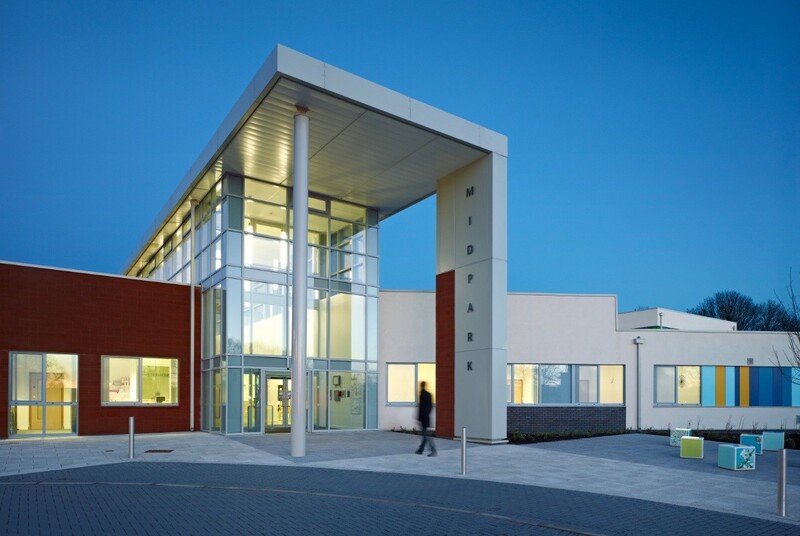 Responding to the challenges of a 14m change in level on the site, this timber frame building steps at appropriate points to maximise ground level accommodation and to ensure an intimate human scale is maintained for both patients and staff.